In Ephesians chapter 2, Paul explains the gospel in the context of two different groups: Those who were born of the Jewish race, and the Gentiles who were born from another tribe or nation, outside of Israel. 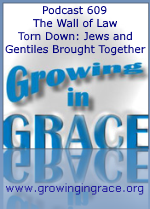 The Jews were under the law and had a hope within their (first) covenant with almighty God. 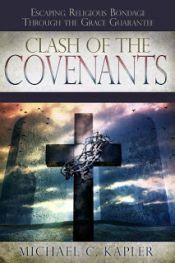 We who would have been considered Gentiles were without a covenant, without hope, and without God in the world. The Jews were near, Gentiles were far off. What is it that divided or separated these two groups? It was the law of commandments found in ordinances. The Jews pursued righteousness through their works under the law but could not attain it, because “the law is not of faith.” Jesus broke down this wall of separation (the law and commandments) and brought the two together as one man, into one body (the body of Jesus Christ). Instead of works, it is through faith that Jews are made righteous, and we Gentiles are no longer far off or strangers and aliens, but are now members of the household of God.